Last night we had a family over for iced cookies and a Harlem Shake filming (more on that to come). After walking into our entry way, their 11 year-old son couldn't help but notice Mandy's frame wall. Puzzled by some many empty frames (as any sane person should be), he subtly asked his mom, "Do they sell frames here, like a store in their house?" Let me assure you, all of our frames are for sale. Make me an offer. On days ending in "day", it's buy one get one free. Ha! If I want an honest opinion I just ask my sons. They never fail me! Awesome. Almost snorted my breakfast milk, almost... it was THAT funny. 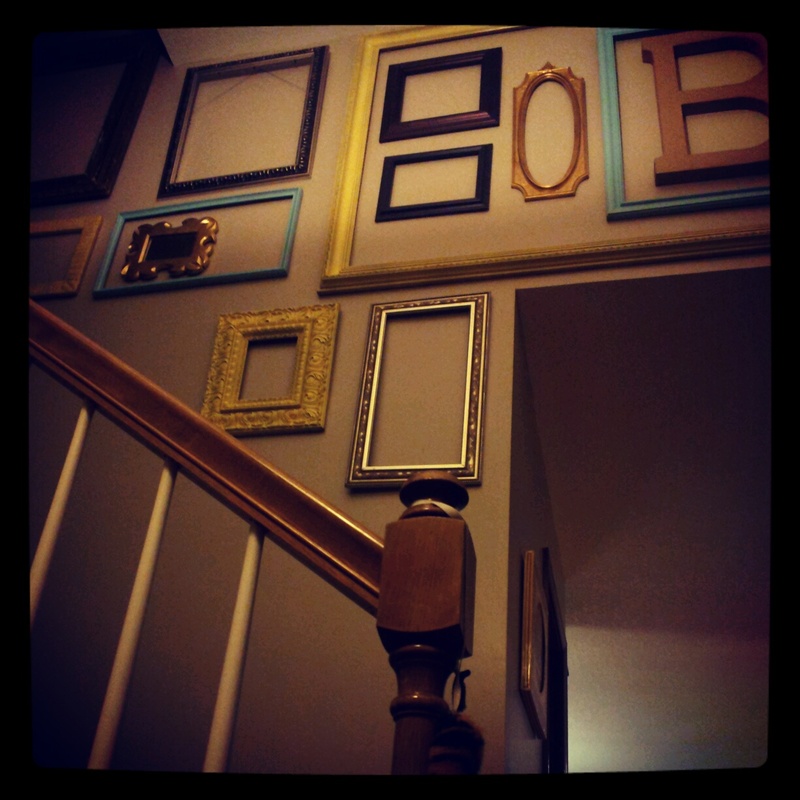 I can always use some more frames! You can tell people when they ask that you are figuring out what photos to put in them! My boys will let me know if they think something is odd to them - not that I care but I would hope they wouldn't say something at someone else's home. Poor Mom was probably dying, even while she was picturing where she could put a frame wall in at their place. I have to say empty fames are sad and seem soulless.